In 1909, the four camera makers Hüttig AG in Dresden, Kamerawerk Dr. Krügener in Frankfurt/M, Wünsche AG in Reick near Dresden and Carl Zeiss Palmos AG in Jena joined forces to become the Internationale Camera A.-G. (ICA) in Dresden. Hüttig, one of the oldest camera makers to take part on this new venture was founded in 1862. The Wünsche factory in Reick was closed immediately after the merger, but reopened as production place since the request for cameras rose these days, giving ICA a good start. Originally, the new company logo was a five-pointed star. Later this was changed to a light-bearing angel. 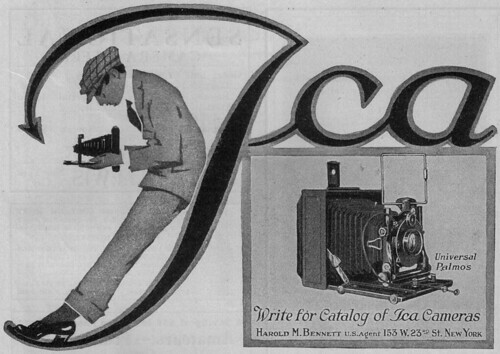 ICA produced a variety of cameras, continuing some of the camera lines of the founding companies. The plate cameras Sirene 135 and Ideal are common. New original ICA products were added soon, for example the Icarette. 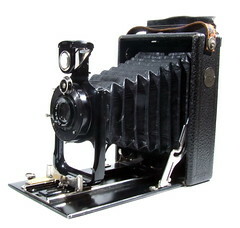 In 1926, ICA was one of the name-giving partners in Zeiss-Ikon. The others were Ernemann, also in Dresden, Goerz and Contessa-Nettel. The serial number system employed by Zeiss Ikon until its demise in 1972 was initiated early on when ICA was established, using a letter preceding the serial number. 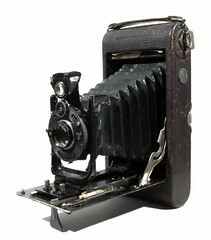 ↑ ICA 13x18 cm Reisekamera, model 856, in polished wood finish and with 26 cm f/8 Helios Extra-rapid Aplanat, sold at the 24th Westlicht Photographica Auction, on 23 November 2013. ↑ Teddy offered for sale at the fourth Westlicht auction, in November 2003. ↑ Toska, offered for sale at the fourth Westlicht Auction, in November 2003. This page was last edited on 8 June 2018, at 05:34.